Rob Vincent dot net » What’s in a name? I've been asked about this enough over the years that I'll just write it down and leave it here. 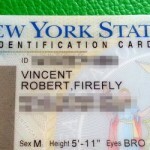 My full name is Robert Firefly Vincent. I came to that by way of a few routes. Back in the mid-1990s I became generally known by the screenname "Rufus T. Firefly," which was the name of Groucho Marx's character in the 1933 film Duck Soup. I chose that name for a couple of reasons. For one thing I've always been addicted to Marx Brothers films, and Duck Soup has consistently been one of my favorites. For those unfamiliar with Marx films, one of their running jokes was giving Groucho's character an elaborately silly name. In addition to Rufus T. Firefly he's played Otis B. Driftwood, S. Quentin Quale, Professor Quincy Adams Wagstaff, Dr. Hugo Z. Hackenbush, and the like; all the same basic Groucho character, just dropped into a new story with a new outlandish name each time. 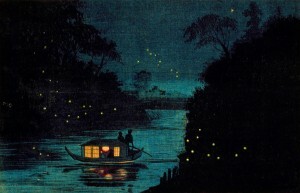 Fireflies, in general, have always had great personal significance to me for a number of reasons. They resonated with me for as long as I can remember, on enthusiastic, scientific, and even spiritual levels. My love of fireflies and what they represented to me, combined with the opportunity to keep my first name an "R" name, made "Rufus T. Firefly" the obvious choice of Groucho name to yoink for myself. I became active on some Internet forums and got used to signing my posts "RTF," which had the bonus of an even further double meaning among my fellow computer geeks. Eventually I started attending hacker events in-person, including NYC2600 and HOPE. It wasn't at all unusual for people in the hacker community to be known by their online handle in real life, so I continued to be called "Rufus" or "RTF." I eventually grew tired of being called "Rufus," and wanted to make my name something that was a bit more "me" rather than something taken wholesale from someone else's work. So I substituted my real first name, keeping the "RTF" intact, and dropped the punctuation after "T" sometime in the late 1990s. "Rob T Firefly" (or "RTF" for short) continues to be how I'm generally known in many circles. It's still my screenname, used on nearly every social network, messaging, and other service I sign up for, and it's my air name on the radio. "Vincent" came about because a long time ago I'd made the decision to change my surname. I'd reached a stage in my personal life where I felt my birth name no longer described me well and I wanted, once again, to use a name that was more "me." My late grandfather was named Vincent, and I chose to take his first name as my last; just socially and professionally at first, and eventually officially when I filed a legal name-change. While I was at it, I took "Firefly" as my legal middle name; the word continued to fit me very well, and it felt like a unique part of me worth making permanent. It's fairly common nowadays for individuals to use elective physical changes like tattoos, hair color, or cosmetic alterations to achieve what they feel to be the best personal expression and outward presentation of themselves. For similar reasons, I elected to have my paperwork tattooed. Ever since then, when I introduce myself, write my signature or present an ID, I'm communicating something that I honestly feel describes me on many levels. I couldn't ask for more than that from a name, and I'm very happy with it.